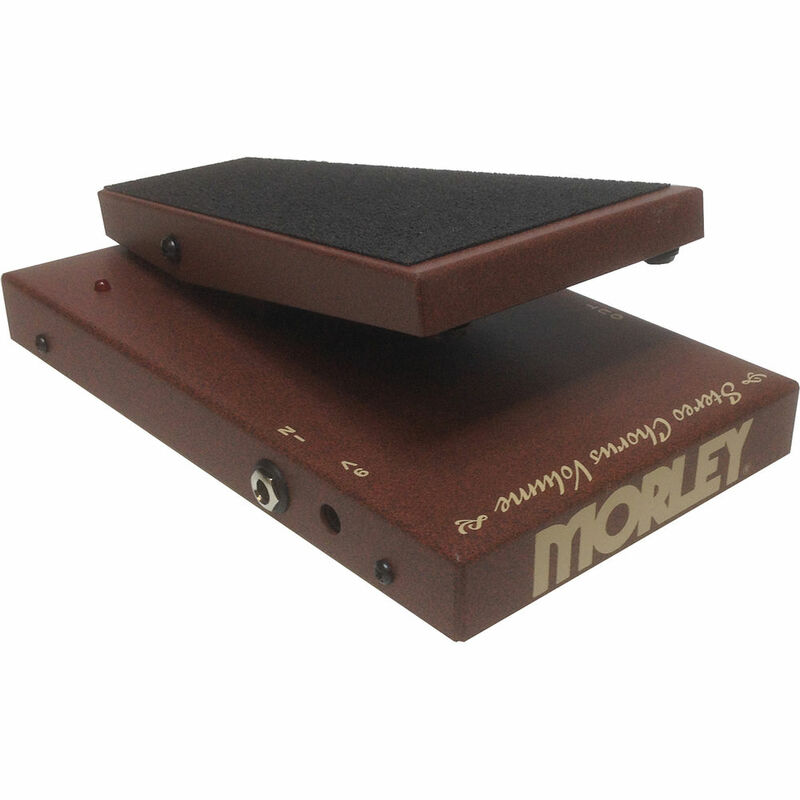 Morley's SCV pedal is a combination stereo chorus and volume pedal. With this you are able to use effects individually or both at the same time while sporting a rate and depth control for the chorus. The volume portion uses Electro-Optical Circuitry so no pots to wear out! SCV is equipped with single mono 1/4" input and dual 1/4" mono ouptus. Dual outputs allows for mono or stereo set ups. Get that extra wide spatial chorus effect that only a two amp setup can provide. 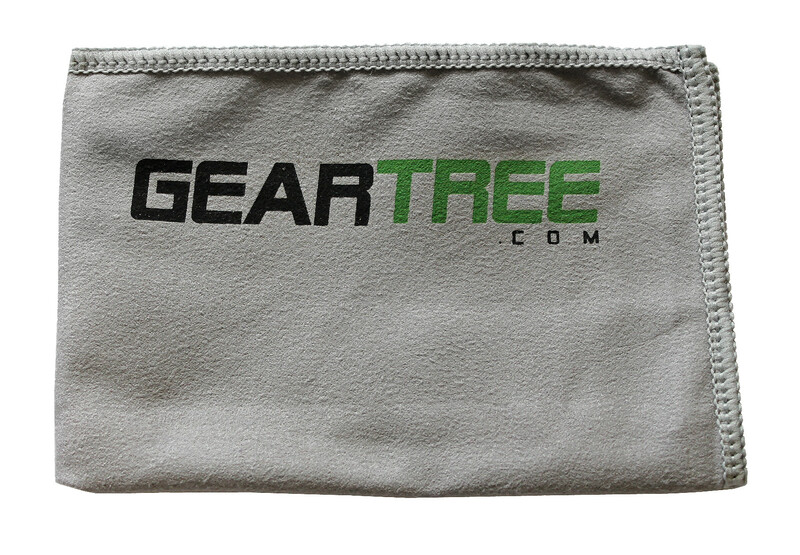 Use with acoustic, electric or bass guitars. The Stereo Chorus Volume is a limited reissue. 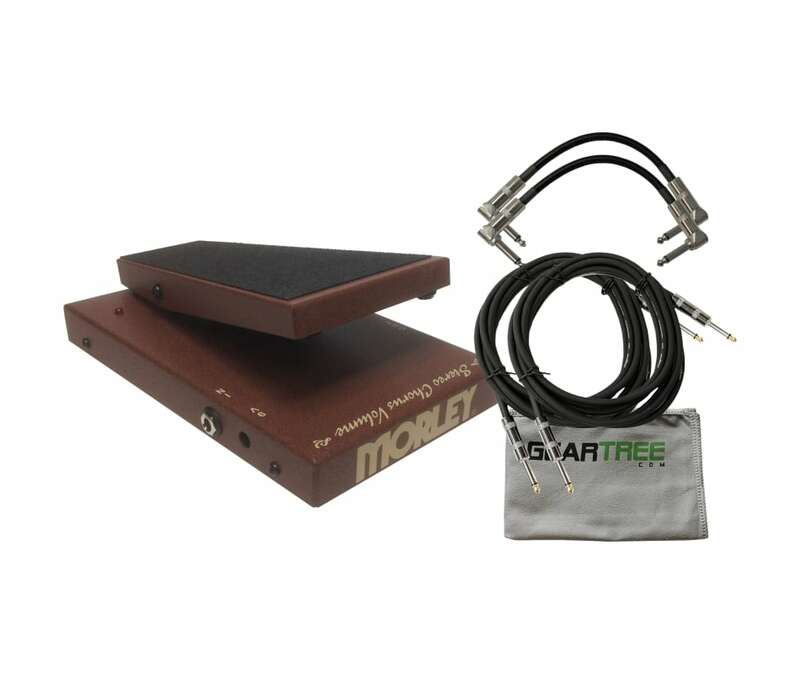 As the name suggests, you can use it as a classic Volume pedal, but it is also a full-blown Stereo Chorus effect pedal. Use the two sides of the pedal in combination or separately, and use the dual outputs to feed one or two amps. Amazing combo for lush effects with or without swells. 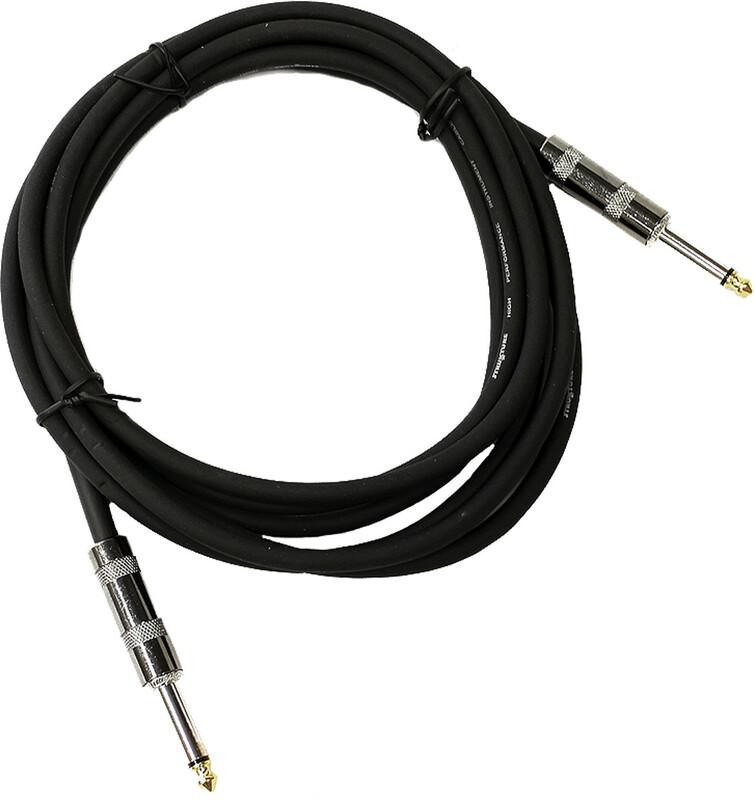 Designed for acoustic and electric guitars and basses. Easy to see on/off status even on the darkest stage. Great for Volume control and Volume swells. Two outputs for creating huge stereo Chorus sounds with two amps. You can use the Chorus and Volume together or individually.